Walden trained at Cullybackey by Ian Ferguson supplied an Ulster trained winner at Downpatrick on Friday night writes Joe Kavanagh. 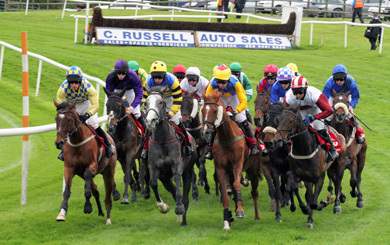 An excellent crowd turned up to support the May race meeting in Downpatrick. Patrolman trained by Shark Hanlon turned out again quickly after finishing second at the Maze on Monday and gained compensation in the handicap hurdle. Jockey Andrew Mc Namara settled his mount mid division prior to challenging the front running Boherna Lady before the final flight as Shanroe Society also challenged on the outside but the winner had plenty in reverse and scored easily. Tim Higgins, CEO of Tote Ireland, who was paying only his second visit to the track to present the trophies, said: ” I am was very impressed by the attendance tonight and the volume of betting in the ring and on the Tote. I’m delighted how good the Tote turnover is. 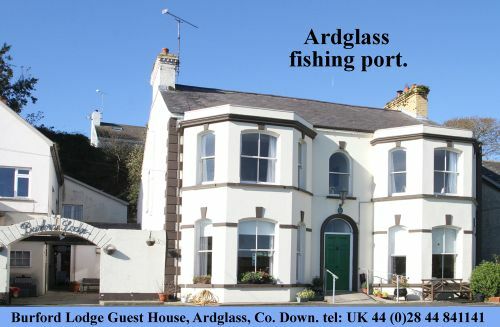 Downpatrick reminds me of the old fashioned meetings – the people, betting and atmosphere. “Richard Lyttle and his team have done a great job with continuous improvements and innovations. 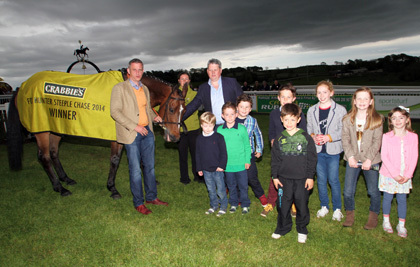 I want to express a big thank you to them and it’s terrific the track is now on board.” The Tote Ireland handicap needed a photo to separate Royal Chief which had lead from four from home and held the late inside challenge of Jim Bowie trained by James Lambe and partnered by his stepson Liam Mc Kenna which squeezed between horses only to be denied by a nose. A stewards enquiry quickly announced- however there was no alterations to the final placings. 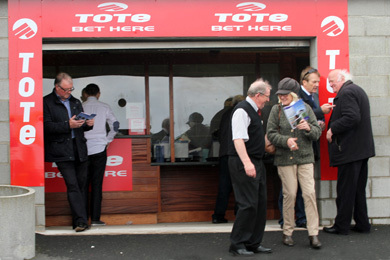 The Tote was well supported on the day with the added introduction of the new digital feedback system making payments and information very quick. The winner was trained by Eoin Doyle and partnered to victory by Micky Butler. Racing got underway at Downpatrick when odds favourite, Draycott Place with former Irish Champion jump jockey, Paul Townend registered a facile victory for trainer, John Ryan in the opener. The winner was always prominent and made most of the running in the maiden hurdle. The concluding bumper produced a surprise when 25/1 chance Solita trained by Paul Nolan and partnered by Bon O’Neill claimed the finale with the trainer also winning the bumper at Cork. News From Pascal trained at Strangford trained by Stevie Magee – the point to point winner attempted to make all the running before finishing a very creditable third and a similar contest looks a possibility in the coming months.